WE LOVE THE SEASIDE! HOW ABOUT YOU? 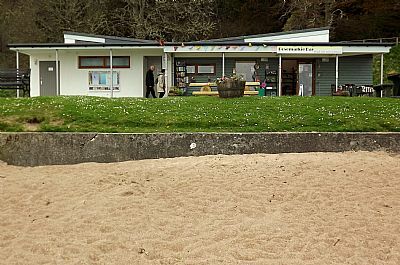 Our cafe is administered by Rosemarkie Amenities Association, by and for our community - and visitors too of course! We're open every day (including Sunday) from end March to end October, then weekends only in November & December, Christmas week then open weekends right through the winter and early spring until we reopen 7 days on April 1st. Hours usually 10.30 until 3.30, a fair bit longer when fine. We are within easy reach of the dolphins at Chanonry Point! Our modernised cafe is fully wheelchair accessible. We have free toilets, including toilets for disabled users, and even a shower for rinsing the sand off your toes. Mmmm, can you smell our bacon rolls sizzling? ...then welcome to your home-from-home!